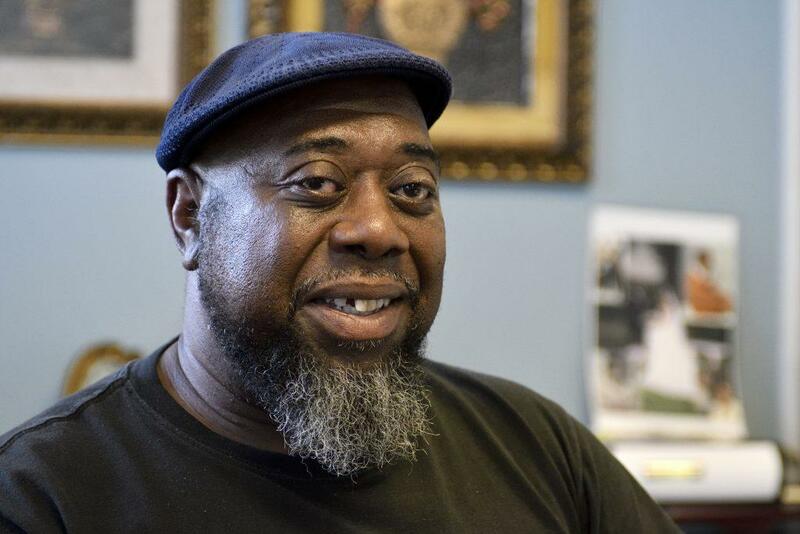 Steve Austin, a facilitator of Philadelphia's participatory defense program, talks about tapping the resources of the community that knows defendants. A fight ensued, and that’s when Austin made the worst decision of his life. He went home and got a gun. Before sundown, a man named Charles Hudson lay dead in the street, and many lives changed forever. Hudson left behind a family, and Austin was soon sentenced to life in prison without the possibility of parole. Austin didn’t know much about how the legal system worked when he was charged and sentenced. And more knowledge probably would not have changed the outcome of his case. But with a greater awareness, he says, he could have presented himself as someone worthy of redemption. “Oftentimes when you’re in the courtroom, what happens is the judge doesn’t know you, the attorney really doesn’t know you. It’s the community of people you live in, they know you,” he said. In April 2017, Austin was released from prison after serving 42 years. After the U.S. Supreme Court ruled in 2016 that its 2012 ban on mandatory life-without-parole sentences for “juvenile lifers” must be applied retroactively, he was resentenced to time served. The decades in prison have left him humbled. Now on parole, Austin works as a facilitator at the “participatory defense” program run by the Defender Association of Philadelphia. The community-based justice initiative, launched in March, helps people charged with crimes better advocate for themselves. Steve Austin spent 42 years in prison for a murder he committed as a teenager. 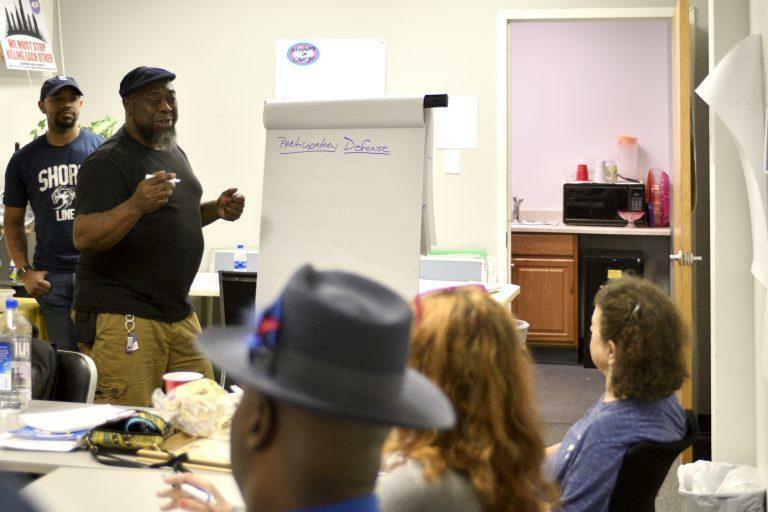 The participatory defense program, which meets weekly, teaches people how to present themselves as a whole person, by, among other things, tapping the resources of the community of people who know the defendant as more than a criminal. 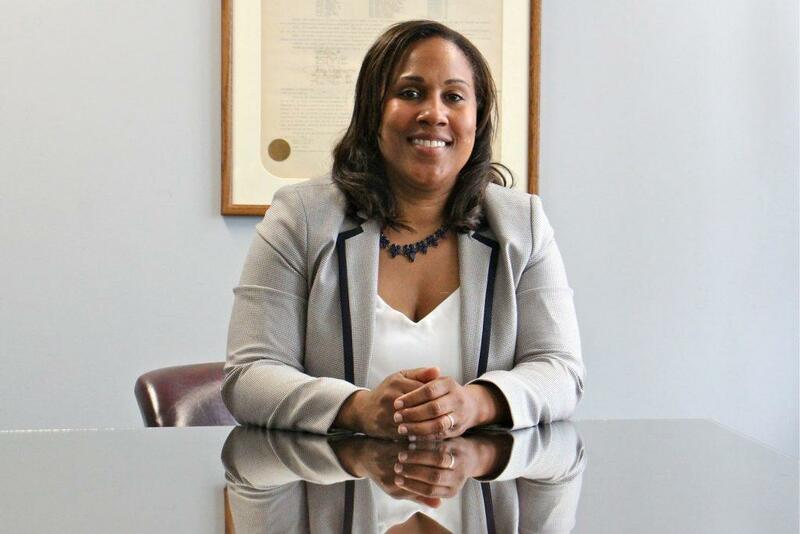 Philadelphia Chief Defender Keir Bradford-Grey says she had to get creative to do battle with the better-resourced district attorney’s office. Keir Bradford-Grey is chief public defender at the Defender Association of Philadelphia. Defendants, along with their advocates and representatives from the public defender’s office, usually attend the weekly roundtable work session. Austin asks clients about their needs and brainstorms ways to address them. The requests are many and varied. Some want new court dates. Others need help writing a statement for their elocutions. A few hope to learn about the tendencies of certain judges. Bradford-Grey first introduced the participatory defense program in Montgomery County, where she served as chief defender for more than three years before coming to Philadelphia. 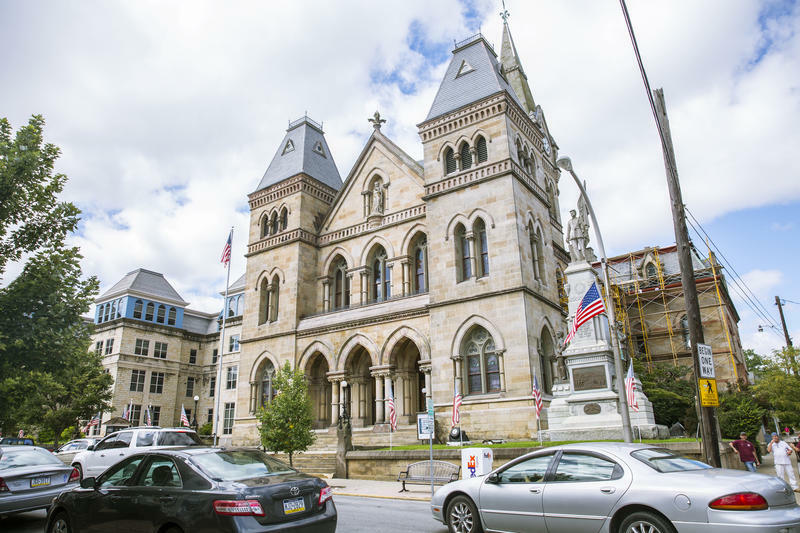 Bradford-Grey collaborated with Raj Jayadev, coordinator of the Albert Cobarrubius Justice Project in Silicon Valley to bring the idea to Pennsylvania. Since the initiative launched, it has enjoyed its share of success stories. 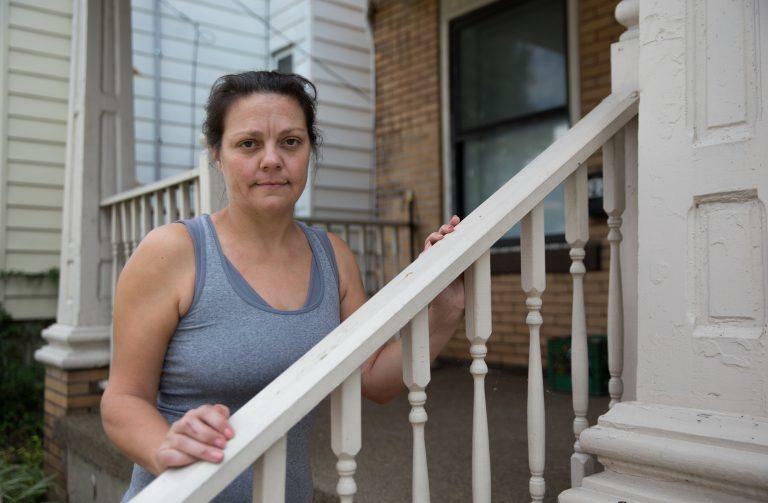 Veronica Rex found the program by accident, when she showed up for grief counseling while a participatory defense session was being held in the same building. It was earlier this year, and she had just lost her the second of her four children to violence. Her son, Zacki Thomas, 26, had been murdered — shot in the back of the head while sitting in a car in Southwest Philadelphia. His death came nine years after Rex’s 22-year-old daughter, Kamilah El-Amin, was killed by her ex-boyfriend, who ran her over with his car. Rex was also worried about her own court case. She had just been incarcerated for three months for handling a customer’s weapon at a bar where she worked. She also had a 30-year-old felony conviction hanging over her, stemming from a domestic dispute. As she awaited sentencing, she feared it would hurt her case. Her lawyer wanted her to take a deal where she would still face jail time. But participatory defense helped Rex draft a letter to the court explaining her perspective. And with that, things began to swing in her favor. Veronica Rex (right) credits the participatory defense program with keeping her out of jail. The judge dropped her felonies to misdemeanors. And instead of jail or house arrest, she got three-and-a-half years probation. Rex credits the program for giving her her freedom. 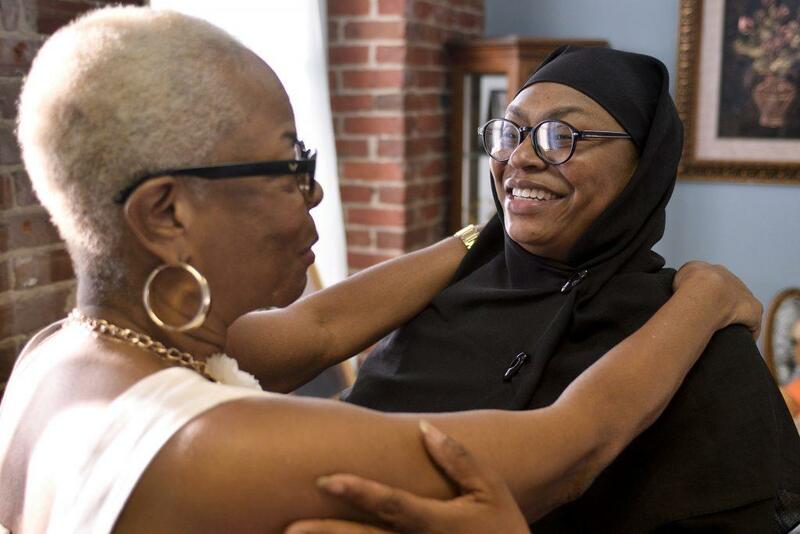 “I might be sitting behind bars again — or sitting in the window trying to get the OK to go to the doctor’s, [or] go to the swimming pool with my grandkids,” she said. Rex now volunteers at participatory defense, helping others just like the program helped her. Steve Austin says Rex is not alone. He’s seen firsthand how the program, which has been adapted by some other offices across the country, can change the course of people’s lives. “It’s like everything is just going uphill now,” he said. 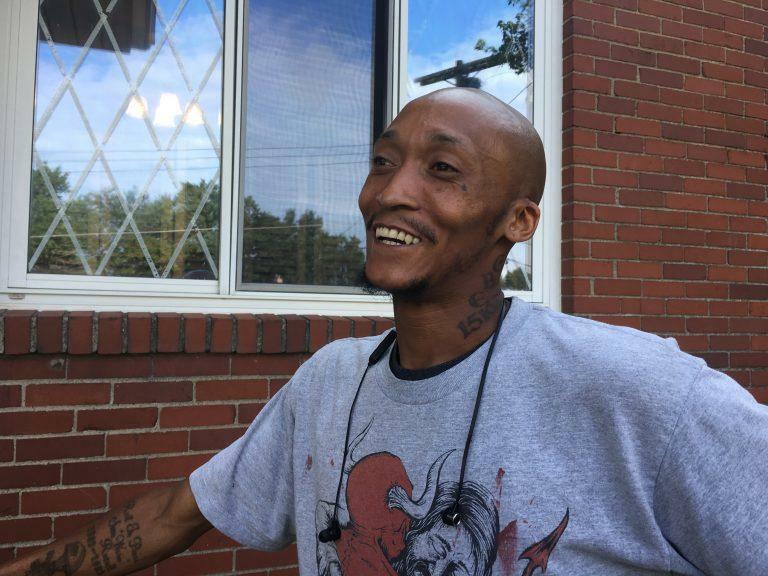 The 37-year-old spent six months in jail after being charged with attempted homicide in 2017. 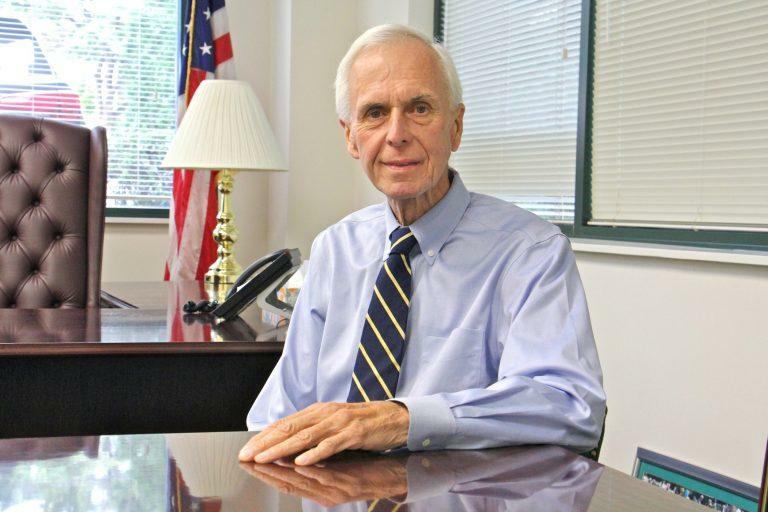 He said his public defender was crucial to his acquittal in March.